Cover in unique JM style that ended up on On The Cobbles. Original title for this release was Something Old, Something New, Something Borrowed But Most Definitely Blues. One can imagine some scepticism in the marketing department. "INCLUDES BONUS THIRD CD FEATURING TRACKS FROM THE BEST OF SCOTLAND'S UNSIGNED ACTS". The release of the tribute box was originally planned for 7 September 2002, then October, then November, then March 2003 to finally meet its deadline on 7 April 2003. The original plan was to set the cover songs side by side with the Frankie Miller originals but apparently people got second thoughts about this. The track finally ened up as opener for On The Cobbles (2004). Jim Tullio & Gary Pollitt, percussion. Recorded and engineered by Jim Tullio and Gary Pollitt at Woollen Grange, Ireland and The Toolshed, Chicago. Mixed by Scott Steiner and Jim Tullio at Calliope, Chicago, assisted by Jan Lowenhaupt. To précis the career of John Martyn is an almost thankless task. His exceptional and enigmatic catalogue defies categories, encompassing the folk roots of his first solo albums and collaborations with his then-wife Beverley, the rumenatory electric muse of Solid Air and the impassioned melancholia of Grace and Danger. Martyn has always created deeply emotive music. An equally gifted interpreter, he took the bones of Baby Come Home, toyed with its melody, rewrote the lyric and emerged with a piece both personal and universal. Baby Come Home was recorded in Ireland April 2002; Jim Tullio added the bass harmonica and mandolin afterwards in Chicago and mixed it May 2002. 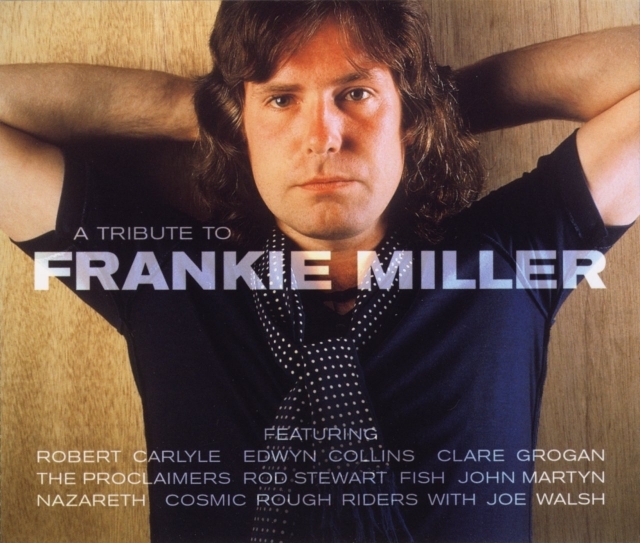 Glasgow born rock and blues singer Frankie Miller suffered major brain damage August 1994 and has been struggling to regain his health ever since. The tribute CD contains cover versions all by Scottish artists. Also a tribute night was held Saturday 7th September 2002 at the Glasgow Barrowland Ballroom but John was not present on this occasion.